You’ve picked the best location. What you need is a builder who understands you and what you want. Who knows exactly how to turn that dream of yours into the place you’ll call home. From the authentically restored barn board floors, to the one of a kind chandelier overhead. From the handpicked Venice marble, to the ________(fill in the blank!)__________. We work with you to make every detail perfect. That’s how your masterpiece is made. It goes without saying that quality is the name of our game. If it’s not quality, it’s not MillarCreek. We used MillarCreek Homes to build the exterior of our custom home and we were very impressed. Brian and his crew know what they are doing and they do it well. They were easy to deal with and very committed to doing a good job. They were very patient and helpful and offered many suggestions to improve the quality of the build. We would highly recommend them! From planning to finishing our new home we were supported 100% by the Millar Creek team. Brian sourced local, reputable labour for every detail, ensuring a professional job in a timely manner. We started this project with clear budget parameters, Brian was both accurate and realistic when it came to keeping within our original plan, and was especially skilled at suggesting alternative solutions for our building needs. Finding the best builder for us was key to reducing the stress in what could have can been an intimidating build, we wholeheartedly recommend Millar Creek Homes for their skill, honesty and flexibility. Brian and the Millar Creek team have always been very professional and accommodating… they’ve listened to my wife and I’s visions of what we were trying to achieve and they’ve always delivered on exactly what we’ve had in mind. Their team is kind, clean and always respectful of our property & pets etc. These guys work very well together and they all have the same priority in mind – customer satisfaction!! They’ve always left the job site clean and free of debris at the end of every day on site. I will continue to have Millar Creek update & improve my home in the years to come and I will continue to recommend them for their professional & detailed work. We have worked with MillarCreek Homes, for all of our construction projects over that past 20 years. His attention to detail, skill in construction, and quality of his work was second to none. He was dependable and extremely knowledgeable. We kept coming back to Brian McClinchey and his company for all of our construction needs because, outside of his talents in the construction area, Brian is extremely trustworthy. We had no issues leaving our project in his capable hands and leaving the country while he worked on the construction. We knew we would come back to the successful completion of the project he was working on. Brian has proved to be a wonderful and very capable builder with a strong work ethic and attention to detail. He works hard to pass these traits down to his employees to ensure the integrity and success of his company continues into the future. We would love to meet you, get to know you, and find out what you're looking for in your home. We don't just build your home, we build a relationship. Your vision coupled with our expertise is how this whole project will happen. This in-depth process is done together. No need for stress here. We keep you involved (if you want to be) with regular meetings while we make sure everything gets done. Imagine walking into the house that's been made specially for you. Build your dream home, build your dream life! We take the time to get to know you and to discover what it is that you want in a home. 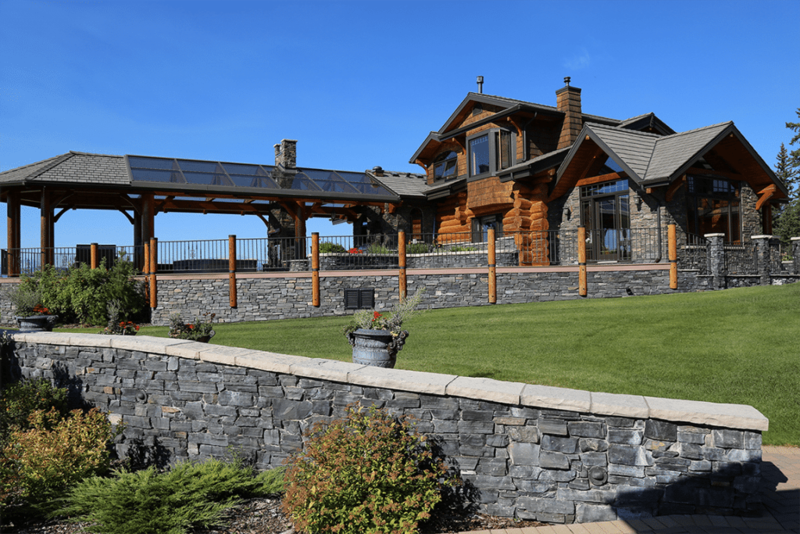 We specialize in acreage and luxury custom homes. MillarCreek Homes is a locally owned family business with over 20 years construction experience. Each home is built with care and commitment and our attention to quality assures your complete satisfaction. We work hand in hand with our clients every step of the way to ensure that your home is designed and built to your satisfaction. Our focus is quality, not quantity. To achieve a high standard of workmanship we limit ourselves to building 6 – 8 homes per year. This enables us to provide you with the best possible customer service and satisfaction. Serving Millarville, Priddis, Black Diamond, Turner Valley, Okotoks and surrounding areas.